If you do not want to miss out on the social highlight of the year, make sure to start planning for the Parkes Picnic Races on the June long weekend – there is less than a month to go! The event offers loads of entertainment with a great day of racing, live music, children’s entertainment and the popular Fashions on the Field. The racecourse provides full bar and betting facilities, as well as a range of catering services, while a range of catered marquees will offer packaged food and beverage tickets with seating. Patrons are welcome to bring their own food hampers and picnic on the grass, however the racecourse is a licensed venue so no alcohol is to be brought onto the grounds. A team of ‘Fashions on the Field’ spotters will be keeping a close eye on the crowd for race wear that expresses style and originality, selecting semi-finalists. As the crowd on Picnic Race Day is large, suitably dressed candidates are invited to present themselves at the semi-final judging before 2pm. All judging commences at 2pm at the Parkes Coradgery and Diggers Amateur Racing Club Committee Tent, near the track. Judging starts at 2pm for all categories, and the finals are at approximately 3.30pm. Fashionable fillies, stylish gents and chic kids have the opportunity to be crowned the highly sought after Fashions on the Field winner, with the following categories: Elegant Lady, Stylish Man, Contemporary and Millinery. Some of the items that will be used in the make over. Tomorrow we have some very special VIP guests visiting our store. TV stars and Brand Ambassadors for Furniture One, Ayden and Jess are visiting the Central West for two special reasons. Firstly, they will make their in store appearance in Parkes, but the second event brought them all the way from the Gold Coast. and media commitments with the Dubbo press. The lucky couple were so excited and I can’t wait to see the smile on their faces when we have worked some magic in their room. They beat a huge array of entrants that came from all over the Eastern States of the country. I will feature the final results in the next column and on Facebook. To give you a sneak peek of the pieces Jess has selected. We are going for a peaceful, relaxing and tranquil feel for this busy couple’s bedroom to give them a sanctuary from the outside world. 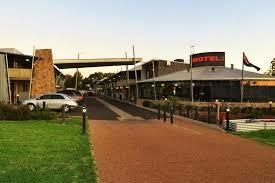 They will be enjoying a new AH Beard king size mattress and a beautiful upholstered bed with underbed storage. Large chests and a huge tallboy will complete the look. Two lovely lamps and a plethora of bedding, quilts, pillows and cushions will add extra luxury and style to the room. Kindred is about kind beauty. Every Kindred ritual is designed to take clients on a journey and show that beauty is more than skin deep. Kim’s warm, caring nature and her passion for what she does shine through offering clients a true vision of just what Kindred stands for. All Kindred’s treatments are designed by Kim from her more than 13 years experience in the skincare and beauty industry. 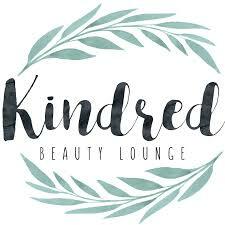 Offering clients holistic professional treat- ments using only small batch products, carefully selected by Kim, a Kindred ritual is prepared to get your skin glowing. There’s not one product in Kim’s treatments and in salon that she herself wouldn’t use. According to Ian many people assume all Indian food is hot, but he would like to encourage locals to try out the buffet that includes starters, two different curries, salads and dessert. Only ten years old, the Station Motel with its steel, glass and stone features, had unfortunately suffered some neglect under many different managers. Ian and Karyn, who both have extensive experience in running five-star hotels, believe they can bring life back to it. really do not like Indian, you can still order from the a la carte menu too! Is Your Family Free Time Used Up By Screen Time? Screen time is the time you spend each day using devices with screens like TVs, video consoles, smartphones and tablets. There are benefits and risks to screen time, so a healthy family lifestyle includes limits on daily screen time. Child development experts recommend limiting children’s daily screen time as real life interactions with you and others are much better for your child’s wellbeing, learning and development. children aged 6 years and older should have consistent limits on screen time. These limits are about making sure your child enjoys lots of healthy, fun activities – both with and without screens. Limits mean looking at the time your children spend on screens and making sure it doesn’t get in the way of sleep and activities that are good for their development, such as physical play, reading, drawing and social time. Limits don’t mean you should stop your child from watching TV or playing video games. These guidelines aim to help you manage your family’s media use. A good way is by creating a family media plan. Your plan could cover things like screen-free areas in your house, screen-free times, and programs and apps that are OK for your children to use. Television, movies, video games and the internet can be a positive influence on your child, especially when you get involved and help your child make good choices and talk about what’s going on. For further reading and guidelines on screen time go to raisingchildren.net.au. The Craft Corner in the main street has become a big asset attracting many visitors every year showcasing quality locally produced items by its members. The shop recently held a Christmas Morning Tea for its members. In front from the left are Bev Dawson, Nola Reeves, Carol Southwell,, Carol Lee May Woods, Rose Jones and Pat Tompkins.